THE APPEARANCE OF YOUR KITCHEN! 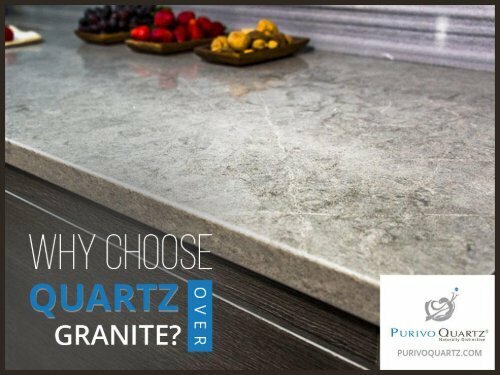 Quartz countertop comes in a variety of designs, which perfectly matches for gold, gray, cream, and greige paint colors and gives the delightful appearance to your kitchen. MAINTENANCE! Granite and marble countertops must be sealed regularly to prevent staining, but Quartz does not require sealing or other routine maintenance to maintain its beauty and functionality. Page 1 and 2: W hy Choose Quartz over Granite?